Nisim Nutrient Enriched Styling Gel and Styling Spray is made with herbal ingredients that infuse your hair with essential nutrients, leaving it strong yet flexible all day long. It helps to prevent dry scalp, crunchy hair, and sticky messes. Provides protection against sun damage. Color Treatment and Chemical Safe. 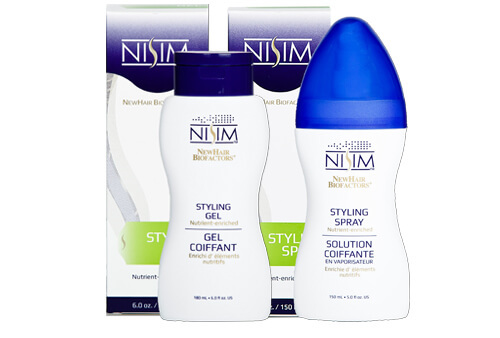 Nisim Nutrient Enriched Styling Gel and Styling Spray nourishes and holds in one light mist. You get the style you want and your hair gets the treatment it deserves. 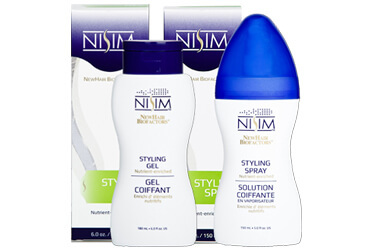 Nisim Styling Spray also comes in a Styling Gel option. Unique blend / extraction process of herbal extracts that enhances and maximizes healthy hair growth and conditioning of skin.